Paul was encouraged to take up oil painting many years ago by a local artist whose work he admired. Prior to that he found himself expressing his artistic vision through watercolor and photography. He is inspired to paint by the beauty he sees on his many walks through the woods of the Snoqualmie Valley with his wife and two dogs. He is especially fascinated by the way nature changes the face of a favorite place through the different seasons, times of day and changing light; making something familiar appear new and mysterious. 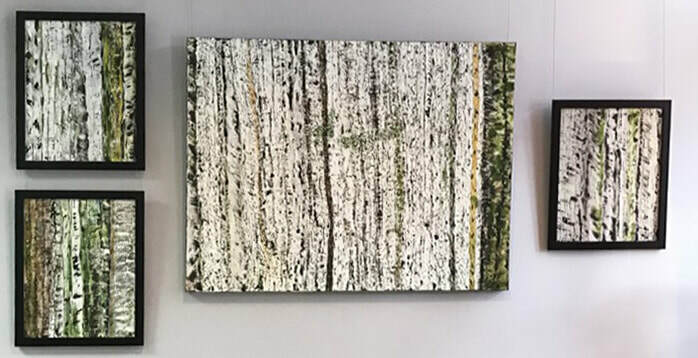 Paul’s work is based on impressionism and he’s recently begun exploring abstracts. by phone at 425-346-3134 or at the Art Gallery of SnoValley.